Bi-folding doors are on many peoples “most wanted” list at the moment. They are an exciting development in the PVC-U market, providing an elegant design which allows the entire span of the design to be opened up to rest internally or externally depending on your preference. 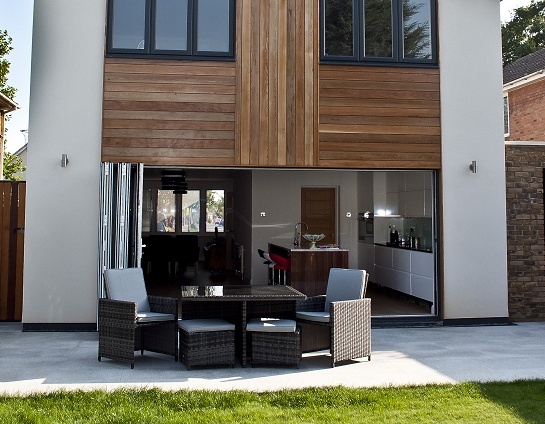 A bi-folding doors perfectly join the inner space with the outer for parties, dining or relaxing. 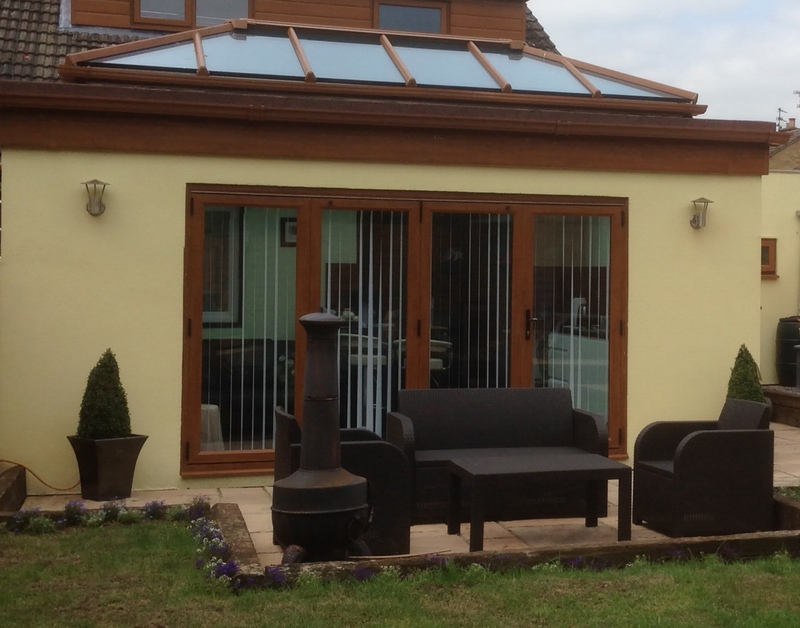 When teamed with a contemporary colour finish, the PVC-U bi-fold adds glamour and sophistication to any home. Also known as , folding sliding doors, glass sliding doors and sliding room dividers. In its simplest term, a bi-fold is a door that slides open while its panels fold up and stack neatly against the wall – like a concertina. Even when fully closed the large expanse of glass provides panoramic views, allowing welcome daylight to enter your home. 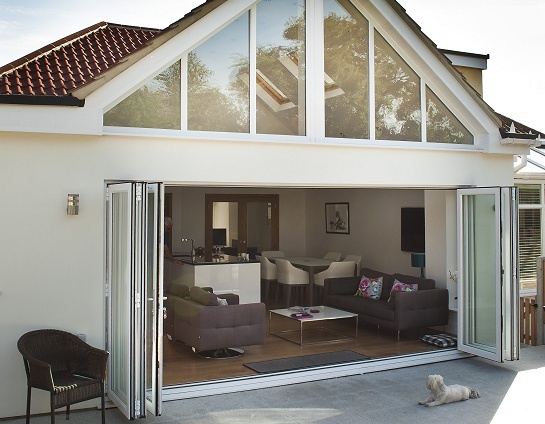 Combined with low e toughened glass units, warm edge spacer as standard and argon gas our bi-folding doors still provide the modern thermal efficiency, security and low maintenance advantages that PVC-U offers. 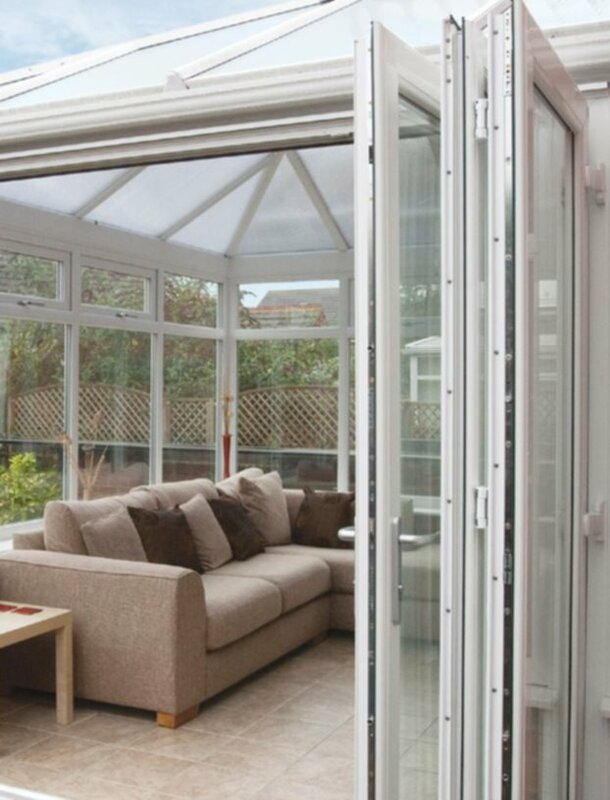 Bi-folding doors often connect rooms to an outdoor area, such as an entrance to a garden or conservatory, but they can be used for a variety of purposes. Typically, a bifold can have anything between two to seven panels that are connected with hinges and attached to rollers at the top or bottom. Often a bifold will feature a traffic door. 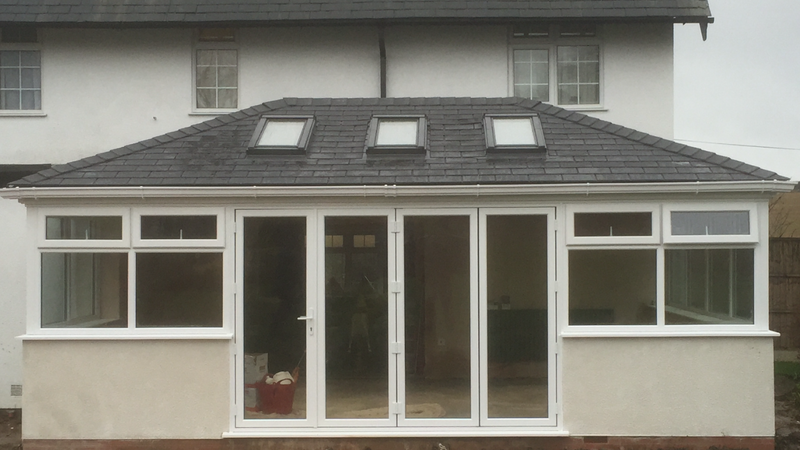 This is a door at one end of the bifold that opens like a standard entrance door, allowing continued use of the bifold throughout the colder months without having to push all the panels back. Available in several colours and finishes, with more colours being added over time. Please contact us for your colour choice availability. 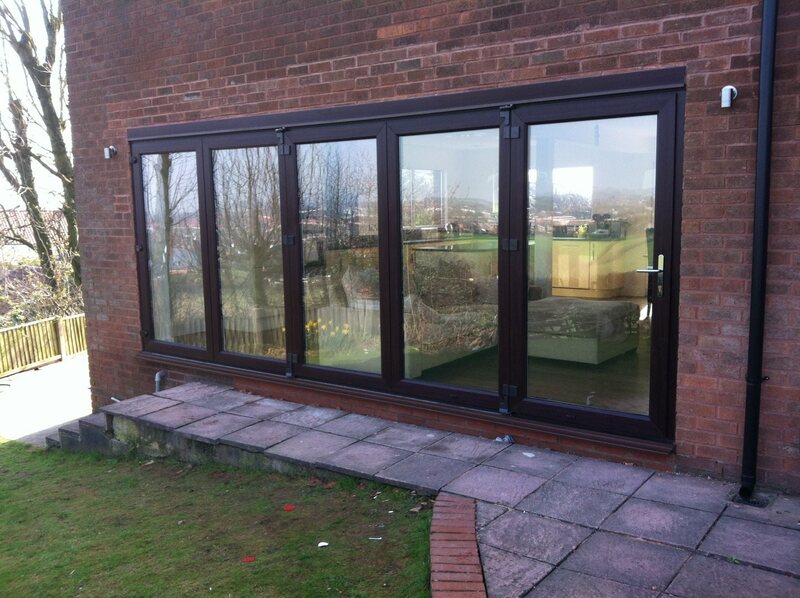 If aluminium bi-folding doors are more your style these are also available in a variety of colours.